Doing welding work correctly is a high art that requires some learning. Once the process has been mastered, however, it is an indispensable skill not just in industry and craft businesses but for DIY enthusiasts and amateur craftsmen too. But there is welding and there is welding, with numerous different processes and therefore types of tool as well. 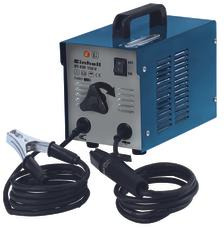 Einhell offers inverter welders, with the advantages of compactness, low weight and high efficiency, and shielding gas welders, for working comfortably on larger welding jobs. We also offer flux cored welding sets, used mainly for welding on stainless steel, and of course versatile electric welders.